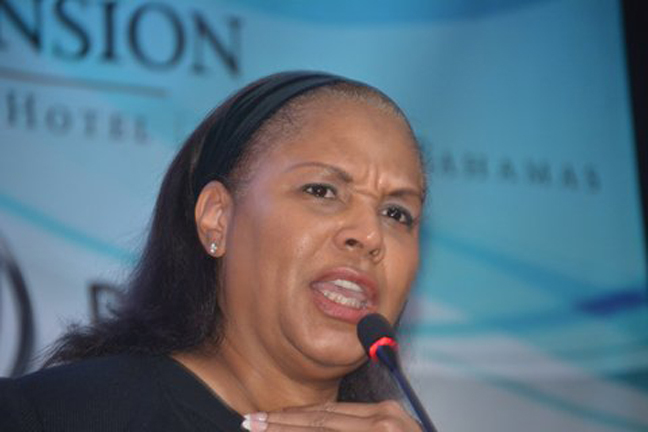 Blacks need to become more involved in what might appear to be arcane debates over “net neutrality – having an open Internet – because the fast-evolving Internet will have a major impact on their lives, including how they consult with medical providers in the future, says Kim M. Keenan, president and CEO of the Multicultural Media & Telecom Council (MMTC). Keenan, who recently assumed her new position after serving as general counsel and secretary of the NAACP, made her comments here in an address to publishers attending the mid-winter conference of the National Newspaper Publishers Association (NNPA). The Multicultural Media & Telecom Council, which recently changed its name from the Minority Media & Telecom Council, is a non-profit organization dedicated to promoting and preserving equal opportunity and civil rights in the mass media, telecommunications and broadband industries, and closing the digital divide. Keenan said African Americans should be concerned about the elderly, young students and everyone in between, all of whom are affected by a digital divide. Keenan said that gap will likely expand under some programs, such has those launched by Google, that will target certain neighborhoods with service that will be 10 times faster than other offerings. Although there is universal agreement that the Internet should be open to all, there is sharp disagreement on how that should be implemented. MMTC favors placing consumer broadcast services of the jurisdiction of Section 706 of the Telecommuni­cations Act of 1996, but others –including President Obama – believe it should be covered by Title II of the act, an older section that initially covered telephones and other utilities. “The National Minority Organizations recognize that access to broadband, adoption, and digital literacy are critical civil rights issues broadband is essential to living a life of equal opportunity in the 21st century. Without broadband access, low income and middle-class Americans – and particularly people of color – cannot gain new skills, secure good jobs, obtain a quality education, participate in our civic dialogue, or obtain greater access to healthcare through tele-health technologies. Because major Internet service providers, such as Comcast and AT&T, also favor coverage under Section 706, the civil rights coalition has come under blistering criticism. Keenan was still bristling at such criticism when she addressed NNPA publishers. Keenan praised Jesse Jackson’s push to diversify Silicon Valley.